Such a pleasant shopping experience with Christi. The Botanistix are so very creative & beautiful. The price point is perfect & its the perfect gift for almost any occasion you can think of. Such a lovely addition to any plant or arrangement turning it into a piece of living art. Thank you for sharing your art in such a lovely way! 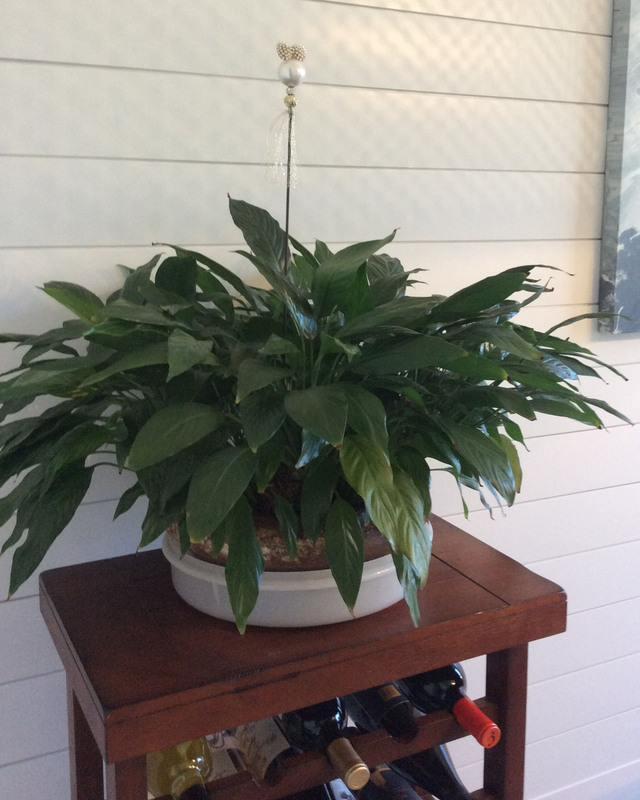 Christi, my lovely Botanistix lives comfortably in my only indoor plant! It makes me smile each time I pass it. Thank you for your artistic contribution to my home. These are just perfect, creative & unique! The perfect gift, for me as well. Thank you. Oh Christi, they are lovely! I put one in the great room in a large potted (artificial) plant and the other two on the covered lanai….no I not sharing, that comes later down the road. Everything you do is great, presentation, netting, business cards, etc.! I have already done my friend Susan’s birthday gift for 20016 but on 13 March 2017, she will receive a few BotaniStix®s! I’m known for my wonderful, unique and thoughtful gifts and you fit right in there! Keep me posted on any new ones! “Loved the experience and tour of the beautiful orchid gardens! Thank you for sharing your time! WOW, what a beautiful presentation! The BotaniStix® stakes are not only gorgeous, but so is your packaging. I love it all! I am never 100% sure when I order from a site that I have not used before so this is a pleasant surprise. Thank you so much. I love the copper napkin twists that I bought from you at the Hospice luncheon. I bought the napkin twists and not the napkin ring specifically so I could vary the way I wrap each napkin. Each one is a little different. My own little works of art. They look great in my dining room. This is my third BotaniStix® purchase. Your pieces are so unique! I love the pretty yellow box I just bought from you! It is going to my girlfriend for her birthday. I am a repeat cutomer and I love being able to order from you with confidence knowing that whatever items I buy, its always done with such precision. There is never any glue showing or anything that would make me hesitate to do business with you again. Thank you. Over the years I have purchased many many things to decorate bottles but yours is by far the most beautiful! Again, you work is down-right wonderful and I am fortunate to have “found” you! We work very hard to make the BotaniStix sales experience excellent.